Picasso’s African period, from 1907 to 1909 has been extensively documented. 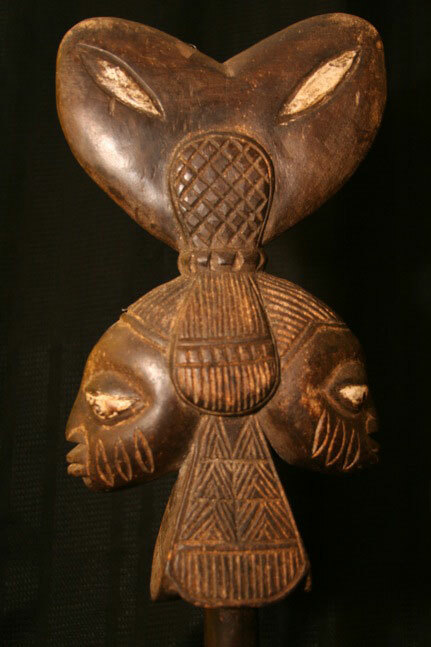 For some reason many authors seek to use the artist’s appreciation of Tribal African Art as justification that the styles, spirituality, and beauty of the art-form should be worthy of similar adulation and fascination by the masses. What may be more interesting however is that forceful thread of artistic scholarship, passed in spirit from an unknown African carver, to Picasso, to renown Afro-Cuban artist, Wifredo Lam. Although Les Demoiselles is seen as the first Cubist work, Picasso continued to develop a style derived from African art before beginning the Analytic Cubism phase of his painting in 1910. Both artists used African Tribal masks directly in their paintings (shown above) to reflect the multi faceted character of the human spirit. 1) He believed that Cuba was in danger of losing its African heritage and therefore sought to display the Afro_Cuban spirit, free from cultural subjugation. Lam’s art is influenced by his background and exposure to African cultures, and African religions adapted to Caribbean life. He was exposed to the rituals of Santeria and Voodoun. His success is an inspiration to the artist working the unheralded theme, exploring new depths to which beauty can be both interpretive and forceful. U.S. Captain for the victorious 2008 Ryder Cup team, Paul Azinger in an interview on the make-up of his team indicated that he used Mayer Briggs personality tests in assessing the fit for the members on the paired section. Marriages need different strategies in that they require a serious commitment over a long period of time. People change, their income generating status may change, and concessions must be made on both sides. Marriage is not always a “we like each other”, and “we can always get a divorce” option. The fact is that it is one of the most sensible and rewarding avenues to engage in companionship, develop oneself, raise a family, invest and increase assets, and pay off debt. When things are good, with few commitments, even two fools in love can have a great time. The rewards of a sustainable marriage however come with a lot of work, and the sacrifice of personal freedom and time. The mindset of a married couple differs from the mindset of someone engaged in the singles scene. The concept of “being together” requires a much less complicated framework than the concept of “staying together”. This simple list is neither extensive nor exclusive, but sometimes children need to hear and see the benefits of following these simple “rules” as they develop their own value system. Ignoring any of the above simply makes for a harder road in life. 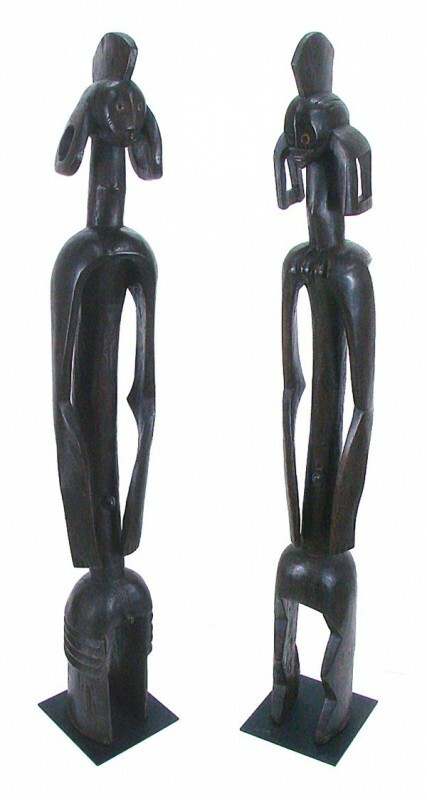 In collecting African Tribal Art, and researching the culture of African Tribes (nomadic or otherwise) the singular most common factor is the importance of the institution of marriage. Whether tribes follow matrilineal or patrimonial systems, marriage is extremely important to the sustainable development of the family and the community. From a resource perspective marriages bring people together, but they also bring families together. It doesn’t always happen like that, but one can’t blame the system because people fail to take advantage of the opportunities inherent in the system. The Tax code, insurance rules, and even religious organizations offer married couples advantages over single and other civil designations. There are tangible carrots out there, but there are also intangible benefits as well. Et tu Chicago … The concept of the African and Latino pyramids aren’t only found in the Sahara, or in Mayan Teotihuacan, Mexico. They thrive in the Chicago landscape. These are organizational pyramids where you find the majority of janitors, and assistants at the lower levels of the organization. As you move progressively through the upper ranks the numbers thin out drastically. If in really abrupt cases you don’t even see minorities handling money, rest assured you pretty much have a flat-line pyramid, and maybe a future human resource problem. 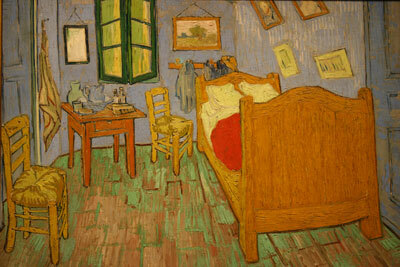 I have to admit that I had a great time visiting the Art Institute of Chicago (AIC), this weekend. The museum has a fantastic collection of Impressionist paintings; Van Gogh, Monet, Renoir, Degas (the guy really liked to paint young ballerinas), and Seurat were well represented. There were also a couple Picassos and several paintings by Salvador Dali. With the addition of a new “Modern” wing the museum has over 300,000 pieces of art and is the second largest museum in the US. Within this cornucopia of smorgasbordic delight I happened to come across a mere handful of pieces “of color”- (ambiguous statement since the Indian and Mexican exhibitions were better than ok) … being true to my stereotyped roots however I managed to parlay this deficit into a free ($18) extra ticket. The “windy city” has a 2008 estimated population of close to 3 mil, approximately 38% being African American. One would think with President Obama in the big house, and Oprah still pulling in the ratings, that the African Tribal Art, or even the African American exhibitions would be something to see. Unfortunately (or fortunately? 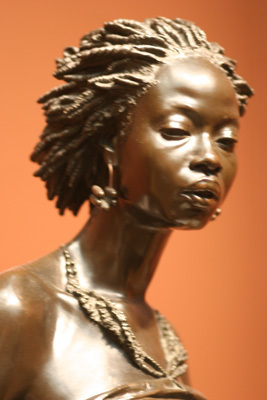 ), the museum has plans to open a new African themed installation in the Spring of 2011. Funnily enough the opening of the exhibition is not being given center stage billing in the AIC “Future events” catalogue (actually it’s not even mentioned). 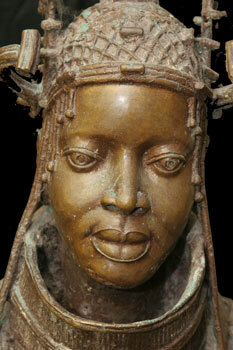 The AIC has one of the most extensive collections of African ceramics in the US. Honestly this seems pretty weak on paper. The investment in this cultural outlet for the growth and future development of African American society is comparatively abysmal by any standard…. but don’t get me wrong the Impressionist collection is still on point. While having breakfast yesterday I was simmering more than my tepid caramel latte. The peripheral irony of Little Syria in relation to the controversy surrounding the WTC mosque had percolated into the propinquity of the indignity that lower Manhattan was developed on the fill of an African slave burial ground. This coupled with the ambush tactics employed by Glen Beck whilst “reclaiming” the civil rights movement, on the anniversary of the “I have a Dream” speech, and the delinquency of African American leadership in allowing tradition to supercede professionalism, meant that indigestion was already a given. DRC, Nkisi - Protection against "Bad Luck"
But in the middle of the BEC on the Pannini thingy a funny thing happened. My wife, Michelle encouraged me to try a little grape jelly with my concoction. In my simple way I tried to explain that I was not going to risk what was actually a decent sandwich, and that I was quite prepared to sacrifice theoretical perfection for guaranteed adequacy. This essentially is the guts of the decision-making strategy defined by Herbert Simon’s Satisficing (1956) – meeting criteria for adequacy, rather than identifying an optimal solution. As if it wasn’t crowded enough, Freud joined the sit-in, postulating that his theories of hysteria, and repressed emotions were a good fit for an African American community subjected to years of images of inferiority and practical experiences of inequality. 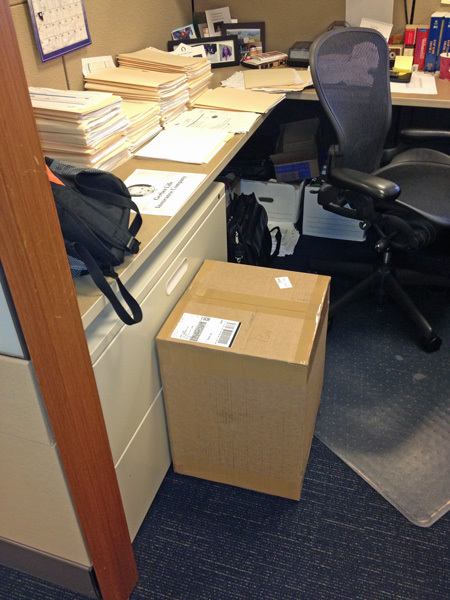 Between Simon, Freud, Michelle, Beck, Sharpton, and Palin I was only too happy to retreat to my Fortress of Solitude. In my mind I have arrived at a plausible explanation for the BURGEONING APATHY of large sections of the African American community, but the irony is that even the bland acceptance of such would itself be another example of satisficing.